One of the most wonderful things about this area (and there are many…) is the variety of homes and living arrangements that are available to us. Within a three-hour drive of Merida, the capital city of Yucatan State and the virtual financial and economi c center of southern Mexico and Belize, there is everything from ruined haciendas to high-rise condominiums. There are probably even types of properties that you have never heard about. Let’s start with haciendas. A hacienda could be likened to a Southern plantation. Substitute henequen for cotton, and Mayans for African-Americans and you have something very similar to Scarlett O’Hara’s plantation in the Deep South. Of course, there is no more slavery, and not many haciendas grow henequen anymore. But the hacienda land is there and the buildings still stand. Some of them are almost completely ruined, it’s true. But some hacienda land still has very serviceable buildings, and some are still for sale for reasonable prices. 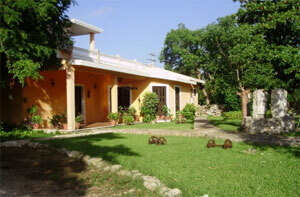 Some haciendas have been renovated into five-star hotels and private residences. Every hacienda is different, but all of them tend to boast of high, beamed ceilings, arched passageways and terraces, tiled or stone floors, and multiple buildings on large plots of land, with a definite tendency toward Spanish, Italian, French and Moorish architectural designs. Fincas and Quintas and Ranchos, Oh My! Then there are fincas and quintas and ranchos. These are all properties with land and sometimes, a house. A quinta is usually about one hectare (100 x 100 meters), approximately. A finca is generally much larger. A rancho definitely has a lot of land, but may not have any structures on it… or it might. The definitions are flexible! Once in awhile, you can find a quinta for sale on the outskirts of Merida, and certainly in some of the surrounding towns and pueblos. You won’t find a finca or a rancho inside Merida city limits, most likely, but you would tend to find one out in the countryside. Communities like Cholul, Hunucma, Motul and Uman are likely places that you might find larger plots of land. If you’re looking for a home that is part of a community, you have even more choices. Colonial homes in the city generally share a wall or three with other similar homes. Condominiums and apartment buildings are not common in Merida, but you will find both along the Yucatan Gulf Coast, and certainly along the Mayan Riviera. You might also be interested in a privada, a private and separate home that is inside an area separated from the rest of the community by walls and a secured gate. There are many privadas in the north section of Merida and each one has a unique personality. If you like to play golf (and tennis and swim, etc…), you can find homes either in the La Ceiba Country Club or the Yucatan Country Club, both outside and to the north of Merida, just off the highway towards Progreso. There are more established homes in La Ceiba, and more types of residences at the Yucatan Country Club, which is offering both separate plots of land for building individual homes and small communities of condominiums or connected homes centered around a common public area. Of course, there are some people that only want to live at the beach… and for them, we have an amazing selection. You can live in a denser community like Progreso or Chicxulub, or go farther out where there is more space between homes in places like Telchac or Sisal. 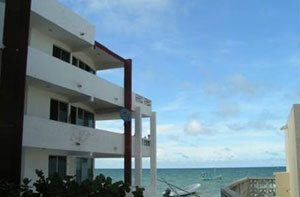 There are some condos at the beach too, though single family homes are definitely more popular. You can still buy land and build a custom home, too. Finally, another option to consider is a colonial home or single-family home in a colonial town such as Izamal or Ticul. Merida is surrounded by cities dotting the peninsula that have services (telephone, water, electricity and even internet and cable TV), but which are more like small towns than cities. If a two-hour drive to shop at Costco doesn’t bother you, then you might consider a home in one of these locations. In the end, there’s something here for everyone. Do you want luxury or something just one step above camping? We’ve got it all here in the Yucatan.